After considering the role a librarian plays, and the skills needed for the job, some of the Prep V pupils wrote letters of application for the post of Prep Librarian. They explained why they were ideal candidates for the role and their commitment to making a difference. 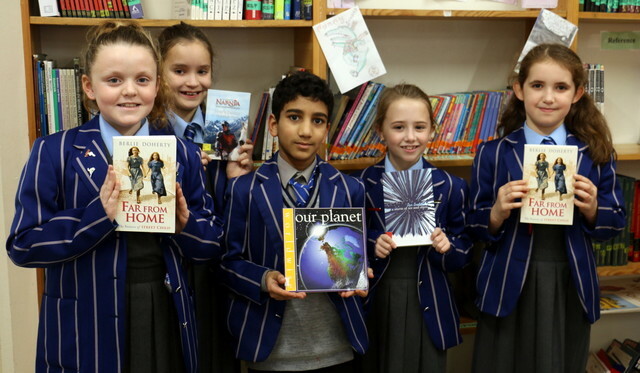 Their love of books and reading in general was evident, and five pupils are now officially Prep Librarians for 2018-2019. Moaed, Anya, Mia, Nyla and Thea have already started to make a difference. They have each given up two lunchtimes to tidy the shelves and are ready and willing to support pupils in their choices of books. They have a wealth of ideas which they are keen to introduce into the library in 2019, so watch this space! I think that the prep librarians have done a great job in the library. I looks much more tidier. I am one of the new librarians and I think it is really good that we are helping to keep the library tidy. I have to say I think the library looks wonderful at the moment Thea.